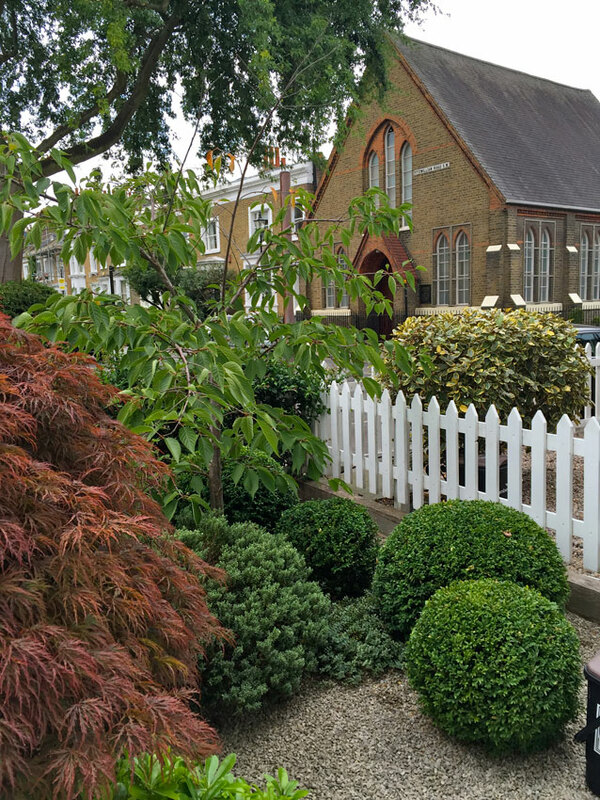 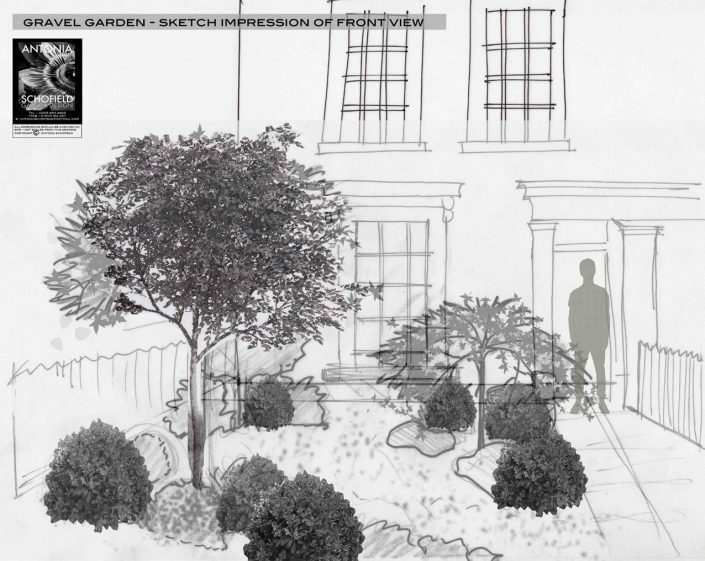 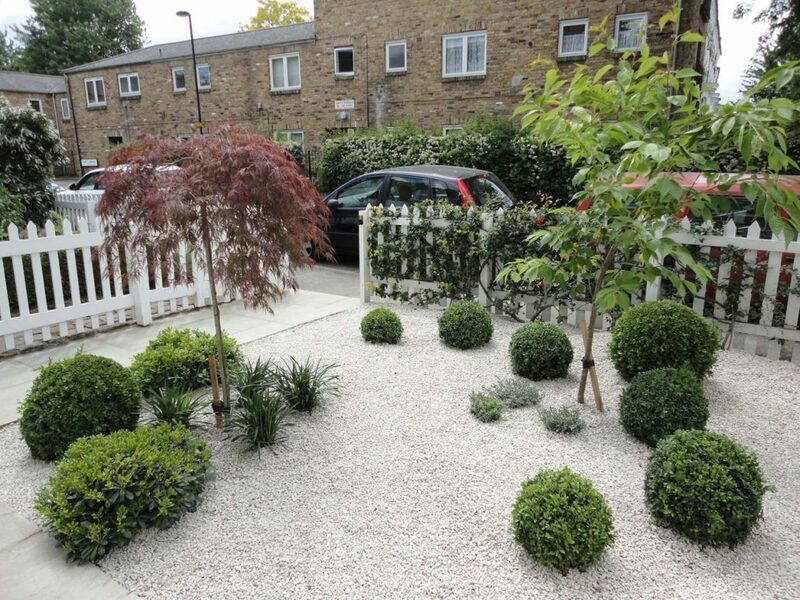 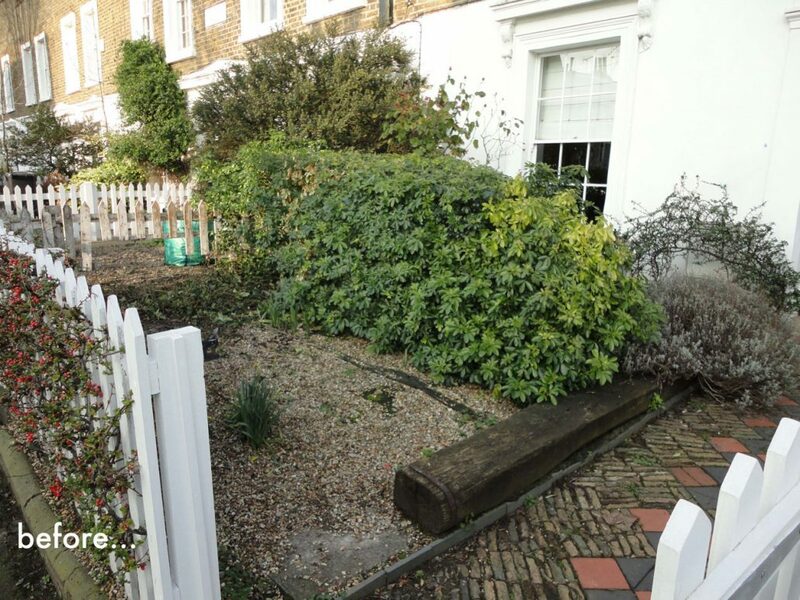 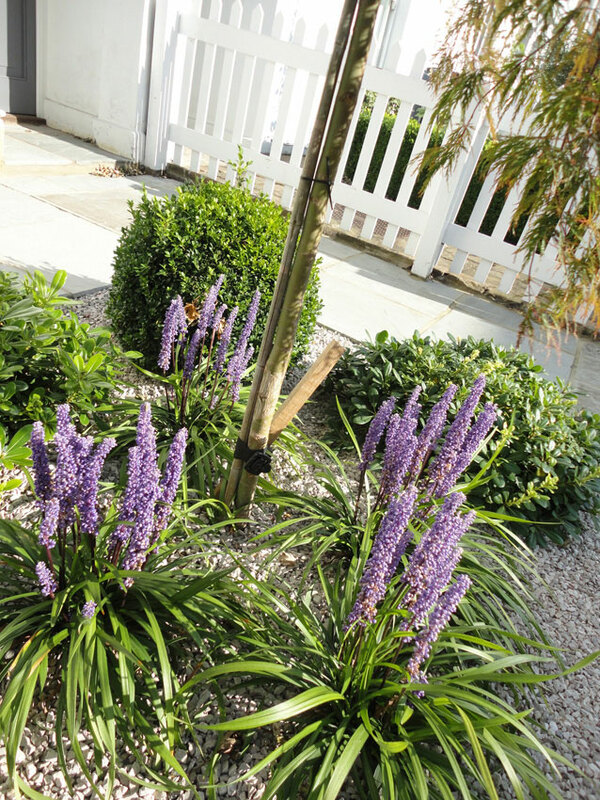 A front garden project for a busy client in south London required above all a low maintenance solution as he has a very hectic life which wouldn’t be able to accommodate gardening time. 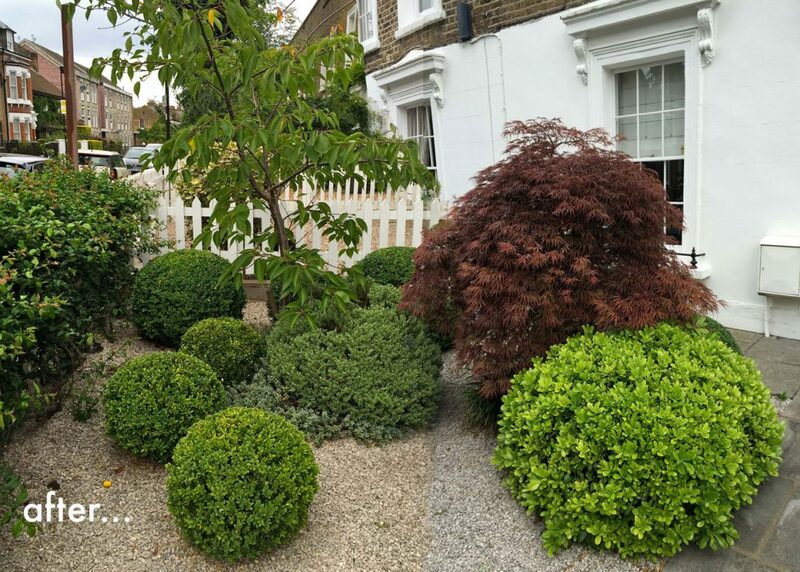 The client wanted something beautiful to look at whilst coming and going, viewing from the salon, and also to improve the appearance of his house. The existing space was a mess and wasn’t practical either so a simple new chic solution was required. 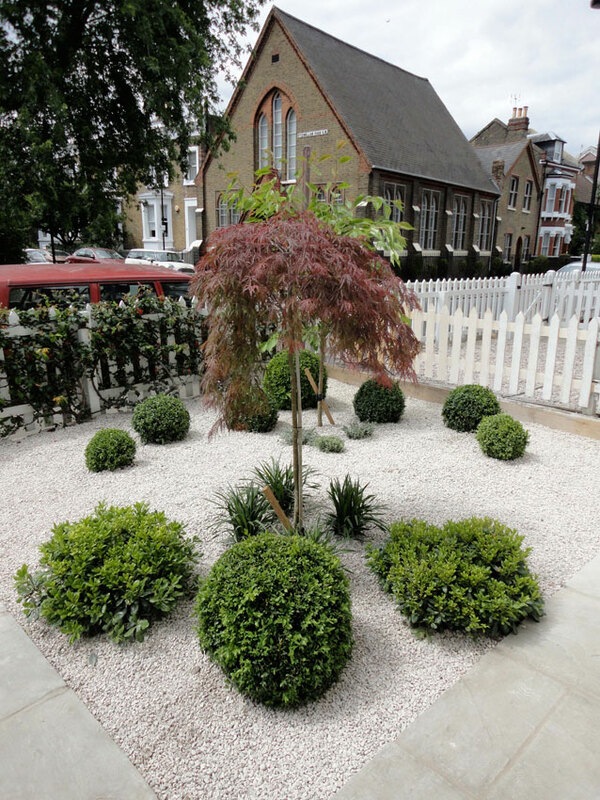 The old cracked paving was dug up and new chic pale grey sandstone paths were laid. 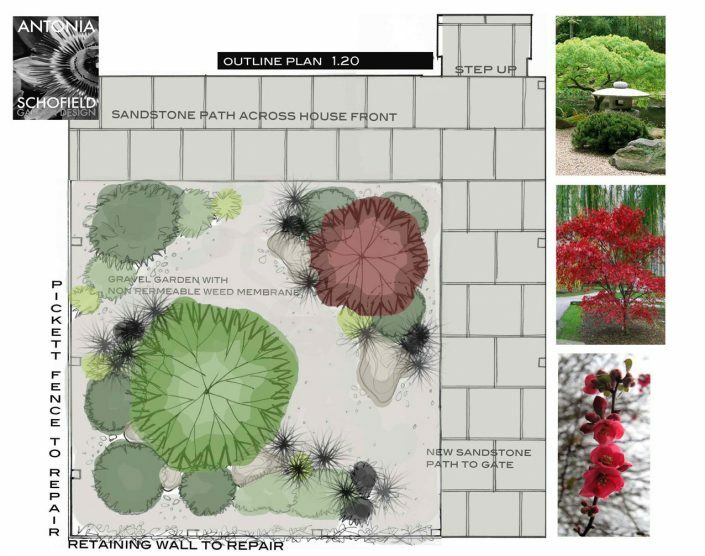 The paths framed the planting area that would be a sea of deep silver gravel that would keep the maintenance to a minimum. 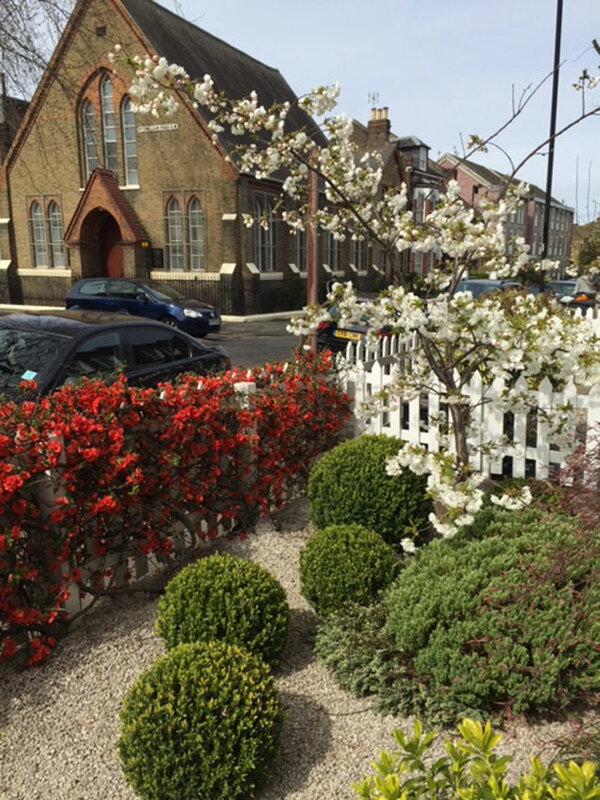 A soft “oriental’ scheme was chosen for its’ timeless and evergreen’ qualities and also there was one plant worth keeping from the old garden …a beautiful red quince which inspired the oriental scheme. 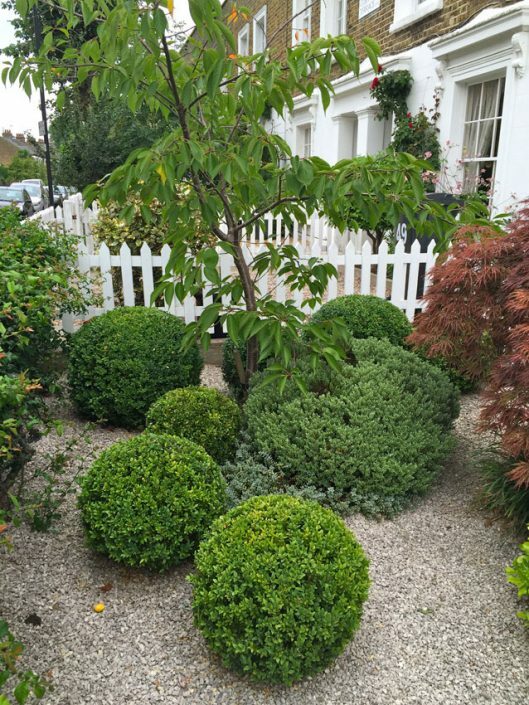 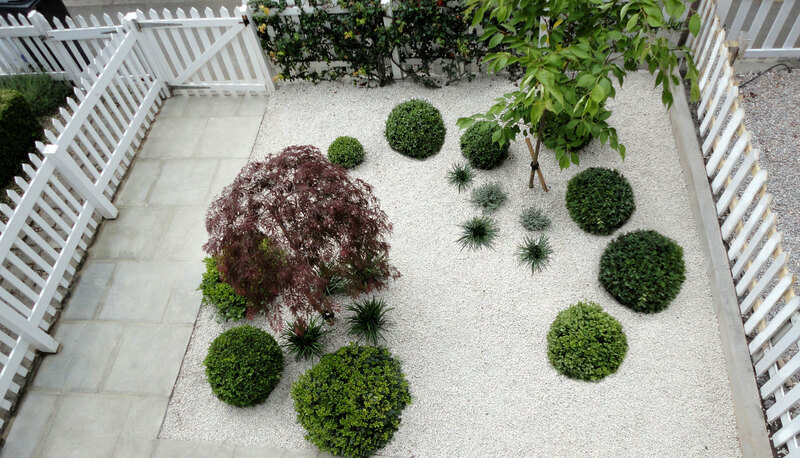 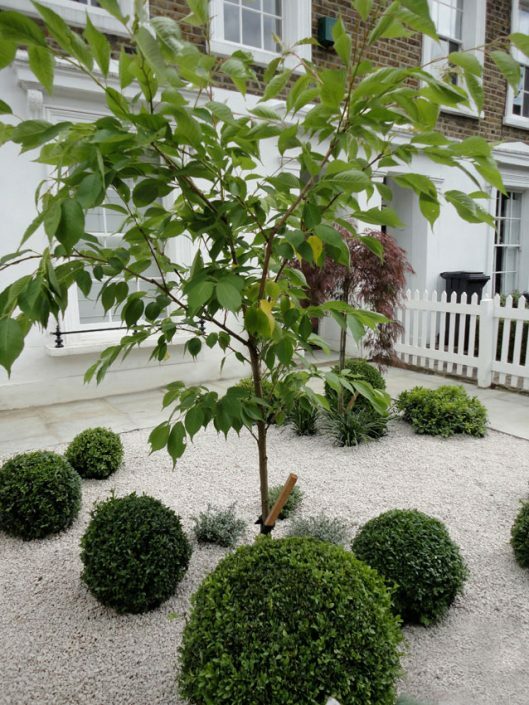 Two islands of planting were laid with soft sculptural box balls and more loose evergreen shrubs of pittosporum nanum that created the structure. 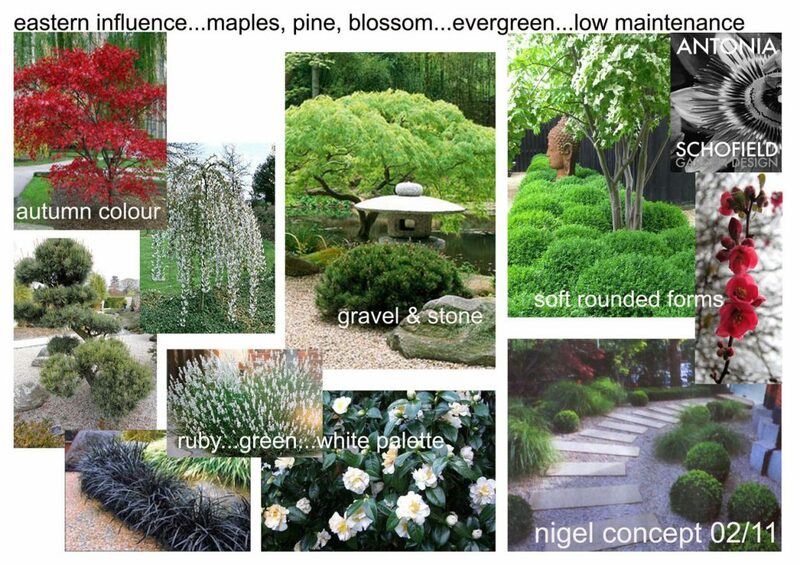 Each ‘island ‘ was also complimented by a small tree … a beautiful double white flowering cherry for spring interest and a weeping finely cut Acer for brilliant scarlet foliage in the autumn.